We carry many varieties of seed corn. We are happy to offer many choices for our customers. Conventional, non-GMO, organic and traited varieties are availble from our many seed suppliers that we work with. Below are the most popular brands we sell. Let you help you chose the best seed for your soil and UNLOCK YOUR FARM'S POTENTIAL. Viking corn and soybeans are now 100% conventional, non-GMO, and organic. They focus on what they know best. They also offer an early-pay and a volume discount. Masters Choice is dedicated to producing the most nutritionally enhanced products on the market. They have spent a lot of time and resources pursuing "floury grain," whose hybrids produce a softer, more available starch. If you had a favorite Viking Roundup-Ready Hybrid you can probably now find it under a new number under the Northstar Genetics label. 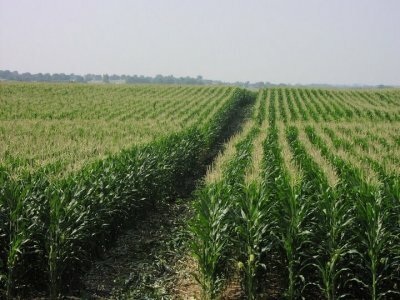 North Star Genetics are an expert on traited corn. Wolf River Valley Seed is obsessed about genetics. They exceed industry standards for germination. Whether you are looking for 7 ton an acre with their White River mix, 200 bushels an acre corn, or a healthy, productive dairy herd with their floury-leafy corn they have the seed for you. Sun Prairie Seed offers both conventional and traited seed corn with the Syngenta hybrid. They have the same genetic base as other more popular brands but with lower in-put costs. We have other brands that we can also get for you. Just let us know what you are looking for. CONTACT US FOR ALL THE VARIETIES AVAILABLE. Let us help you find the seed corn you are looking for.